Ever since discovering Nancy Drew in 5th grade, Rita has been a fan of mysteries and now has decided to focus on this first love. She has written a children’s book based on Sherlock Holmes. 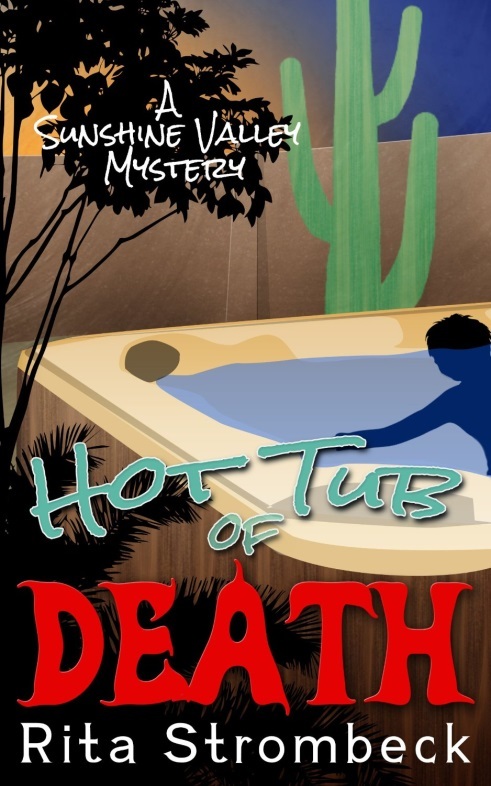 HOT TUB OF DEATH is her first cozy mystery. On the surface, Sunshine Valley appears to be an idyllic small town in Arizona’s picturesque Sonoran desert. When Adam and Eve Iverson, a retired married couple, move to this seemingly peaceful community, they have every intention of pursuing their individual passions. Then, one day, their plans are disrupted when they discover the body of Olive Howell, the most disliked and feared woman in the valley, floating in the community hot tub. In the days that follow, the main topic of conversation in Sunshine Valley revolves around the death of Olive Howell. At first, her death is ruled accidental, but this pronouncement doesn’t sit well with the Iversons. Driven by her intuition and keen perceptiveness, Eve begins to sort through a series of clues that indicate murder, and soon discovers that several people had strong motives and opportunities to kill Olive. Based on his own reasoning, Adam begins a separate investigation. Following their individual instincts and hunches, and by cleverly sorting through all the facts, Adam and Eve work together to ferret out who among the seemingly harmless residents of Sunshine Valley could have created the HOT TUB OF DEATH. This entry was posted on September 15, 2014, in Book Reviews, Reading, Spotlight. Bookmark the permalink.